The 'Two Fingers' hitmaker has hit out at the former Oasis guitarist's most recent solo offering following Noel's comments that he was "heartbroken" to discover that Jake had help from other songwriters on his debut self-titled record and 2014's 'Shangri La'. Jake - who supported Noel and his High Flying Birds in 2012 - insists he's not bothered by the songwriting legend's barbs because he understands the 'Wonderwall' hitmaker says outrageous things for attention. Asked about Noel's dig, he told NME magazine: "Noel's last album is pretty crap though, innit? I'm not upset about it because it's just Noel - he'll slag off Ed Sheeran and then be at a party with him the next week. It's just the way he is." However, it appears the 21-year-old musician might have taken Noel's comments on board as his forthcoming LP 'On My One' was mostly penned and produced by himself with some help from producer Jacknife Lee. 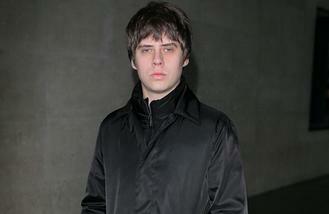 And Jake reiterated that he made his third record alone, saying it was a "lonely" process. He previously said: "It's been quite lonely making this record by myself. But I saw it as something I needed to do to develop as a songwriter."